Natural Health News — A study of US adults has shown that as fibre intake goes up, the risk of depression goes down. “When total fibre intake was at approximately 21 grams per day, the risk of depressive symptoms reached a relatively low level, which has important public health implications,”​ the researchers wrote in their paper​​, published in the journal Nutrition​. The average intake for most Americans, they note, is 15 grams of dietary fibre per day, while the recommended daily intake is around 30g per day. 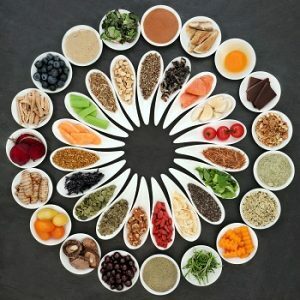 The scientists, from the School of Public Health at Qingdao University in Cina, analysed data from the 2007 to 2014 National Health and Nutrition Examination Survey (NHANES) results, a publicly available data set of the dietary habits and nutritional status of more than 16,000 US individuals. They evaluated dietary fibre intakes of total cereal, vegetable, and fruit fibre intakes. » A beneficial daily intake say the scientists is 21g – while the average US daily intake for adults is just 15g. Just how dietary fibre helps to mediate symptoms of depression “remains poorly understood,” say the authors, but they suggest two possible mechanisms. One is that dietary fibre acts as a ‘prebiotic’ selectively feed beneficial bacteria in the gut, and changing the balance of ‘good’ to ‘bad’ bacteria. This in turn influences brain function—a concept dubbed the ‘gut-brain’ axis. Another proposal is that dietary fibre may lower glucose levels after a meal, inhibiting the inflammatory processes caused by a blood sugar spike. They results build on previous research, for instance a 2016 study from Japan which suggested that higher fibre intake among Japanese employees may result in lower risk of depression. Eating a high-fibre diet can balance blood sugar levels, help with digestion, lower cholesterol and potentially reduce the risk of diabetes as well as heart disease and cancer. In the UK as well as elsewhere most people do not eat enough fibre (the average intake is 17g per day for women and 20g per day for men). Although fibre supplements are available and can be helpful for some, nutritionists recommend getting the daily recommended amount of fibre from whole grains, fruits and vegetables, as well as pulses.